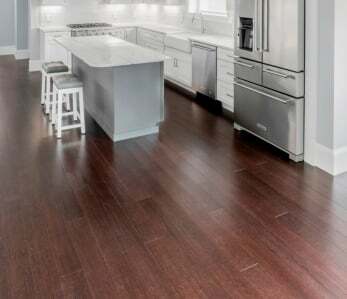 Bamboo flooring is a great choice for homeowners who like the look of traditional hardwood floors but want an eco-friendly alternative that costs a fraction of the price. 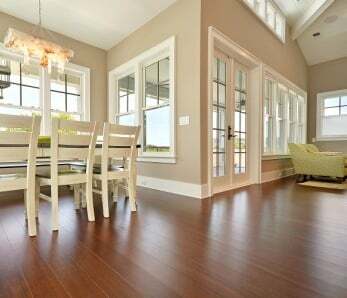 Like hardwood floors, bamboo comes in many styles and we’ll cover the installation methods in this post. 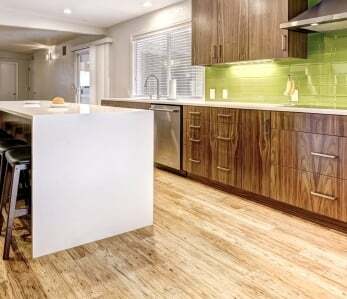 The method you choose will be determined by your budget, your own DIY skills and the subfloor you’ll be working with. If you’re dealing with plywood subflooring then the nail down method should be used as you can nail the bamboo planks directly into the sub-floor. First and foremost, if installing strand woven bamboo flooring, make sure you’re using a the and use only 18 gauge cleats. For proper installation, floor support beams should be marked before laying your planks down. Their location should also be marked on the felt paper underlayment using chalk lines. Marking beforehand will help determine where the nails (or staples) can be driven to make a proper connection with the subfloor. To start, lay down your starter rows by nailing each board every 8 inches and within 2 inches of each end. Once you have laid these starter rows, continue nailing the proceeding planks directly above the tongue at a 45 degree angle. Doing so will hide the nail head once the next plank is laid. This method is great in that your floor will be very secure, and you won’t have the squeaks associated with the floating floor or click method. But as you can probably tell, nailing at just the right angle is a true skill and not to be attempted by a weekend DIYer. If you want to go this method, make sure you have the budget to have your floors professionally installed. 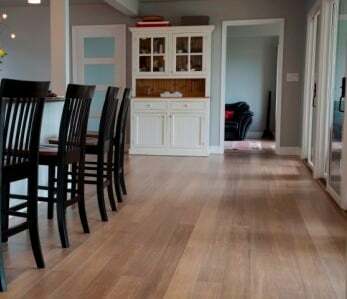 You can use this installation method in any room of the house including basements, just make sure to never float a solid bamboo floor unless your runs are less than 15 feet, even if it is a click-lock solid floor. Floating a floor means clicking the pieces into place without the use of nails, staples or glue – hence, the floor is essentially floating on top of the sub-floor. can be used with this method which will provide a cushioned feel when the floor is walked on. Certain underlayments will also provide a moisture barrier, which is especially critical when used over a concrete floor in the basement. This is the installment method of choice with DIYers because no messy glue is involved and there are no nail guns or staples guns to contend with. Although this installation can stand up well in most rooms of the house, it should be avoided in areas where there will be a high level of moisture, like the bathroom. This method entails gluing down the bamboo planks directly to the subfloor. There are different glues on the market but we recommend using only 100% urethane adhesives as opposed to water-based glues that can cause your planks to cup and warp over time. Although this method is easier to do by DIYers than the nail down method, it can still be a bit tricky… and sticky! The floor should be laid down in sections. Spread as much glue over your subfloors (making sure you have cleaned away all dirt and debris first) as can be covered by planks in one hour. Once your planks start going down, it’s important that they stay in place and not slide out of alignment on the wet adhesive. Should any adhesive get on the surface of the planks, make sure to immediately wipe it off with adhesive remover towels. After the bamboo planks have been allowed to set for 30 minutes, walk on them to ensure they form a solid bond with the glue. Your will be determined by your own installation experience, your sub-floors and your budget. If you have no experience but no budget either, then look to a floating floor installation. 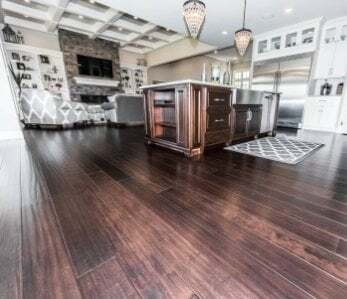 If you have a lot of flooring experience, then your choice will be determined by what type of sub-floor you’re dealing with. And if you have no experience and a big budget, then we suggest you hire a professional.